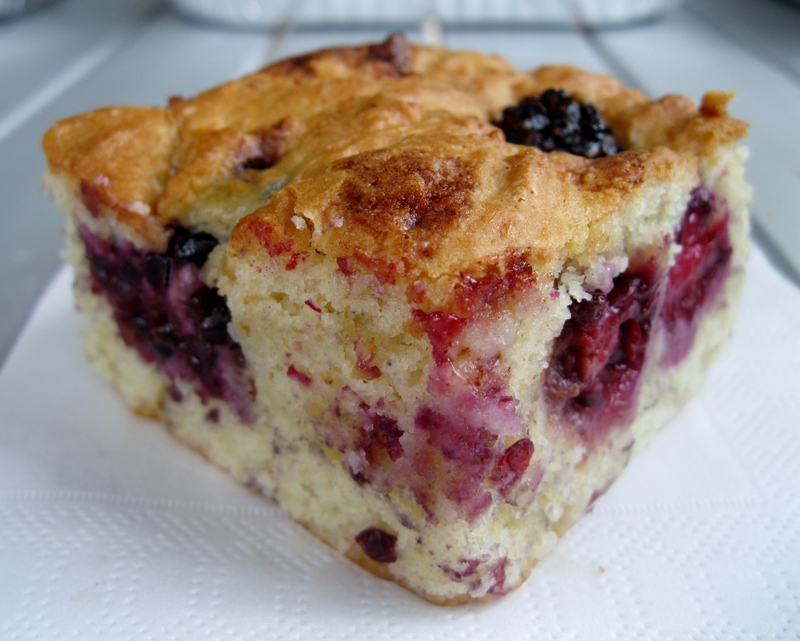 A delicious and easy to make coffee cake with blackberries. Perfect for teatime or as a dessert. 1. Combine and sift together the flour, baking powder, salt, sugar and cinnamon into a bowl. 2. Add the butter and mix well until crumbly. 3. Mix the egg, milk and vanilla in another bowl. 4. Pour into the flour mixture and mix until combined. 5. Transfer this into a greased cake pan. 6. Sprinkle the blackberries on top. 7. Mix all the topping ingredients in a bowl until crumbly and sprinkle over the berries. 8. Place the cake pan into a preheated oven at 350F/175C. 9. Bake for 30 to 45 minutes or until a toothpick inserted into the center comes our clean and the cake starts to come away from the sides. 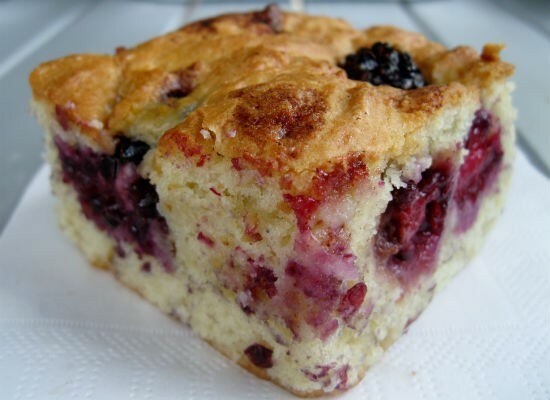 Feel free to comment or share your thoughts on this Blackberry Coffee Cake Recipe from Awesome Cuisine.